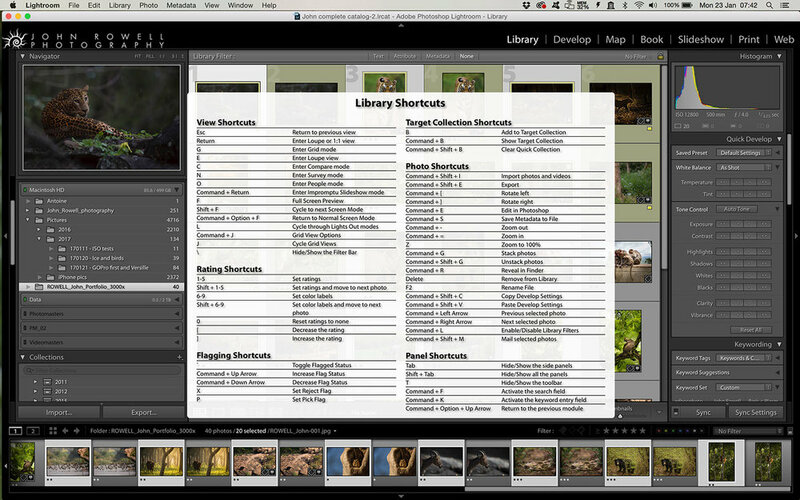 Lightroom, like most adobe software, has A LOT of shortcut keys, 254 of them to be precise and all of which are designed to help us navigate quickly thought our post-processing. Also, each of the different modules (library, develop etc...) has different ones. I was pretty shocked when I actually counted them, and I only use/know a small percentage of them. A lot of them are standard, others are very precise, and some are very cheeky too. With so many, writing a post on it is not easy, so I have decided to share some of my favourite and most used shortcuts in the Develop Module... my pick of the lot I guess. It is not an exhaustive list, as there are many others, these are just the lesser known ones that I thought you all might not know or don't use often. If you want to see the complete list it is on the Adobe Website HERE. This is a great one... if you press Ctrl + / (PC) or Cmd + / (Mac), and you will get a list of all usable shortcuts in that module appear. Easy! :D Just click the list to make it disappear! This works in all modules. 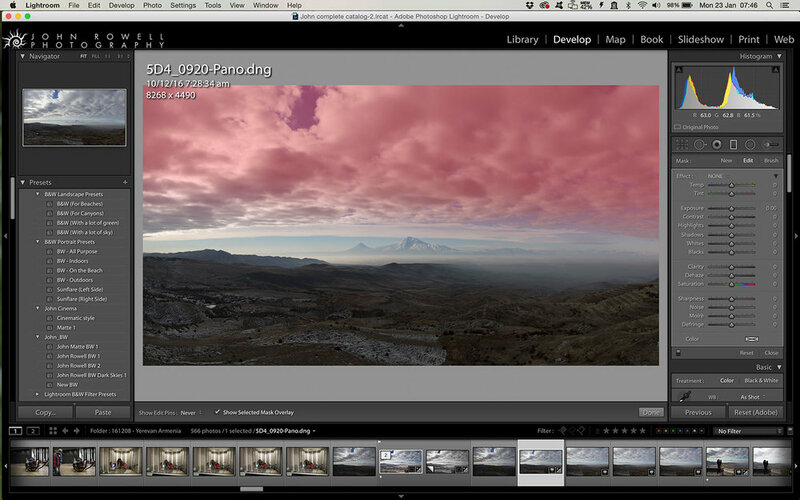 If you press Shift while clicking the name of a parameter, LR with automatically set that one feature. 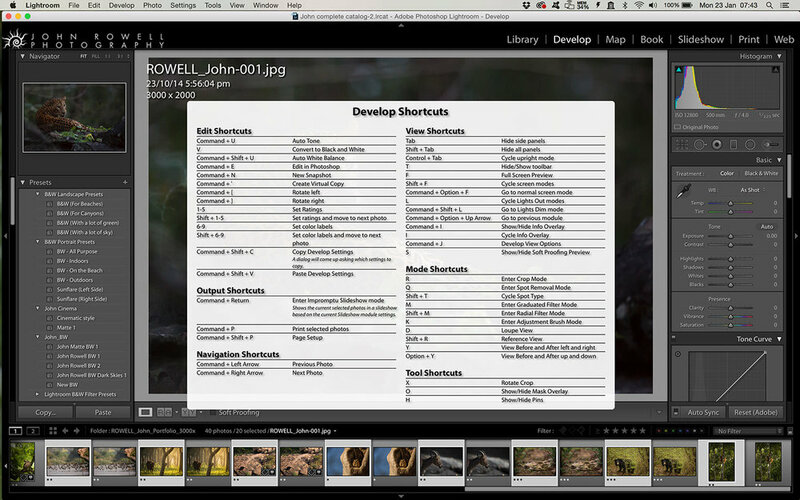 This is particularly useful for blacks and whites, as it expands the histogram to the limits of each. If you want to reset any setting to 0, just double click the name. The Spot Removal Tool (which you can activate by pressing Q) is great for removing unwanted distractions in your image such as dust spots. But sometimes it does not select the best point as a reference for fixing the problem. If you press / it will keep selecting different places until you get a better option. You can also drag the selected area with your mouse to a part of the image you want. This is great for landscapes. Generally for a landscape i try and use filters to get a better exposure of the sky and land both, but I don't carry filters with me a the time, so using the Gradient feature in post is often required (accessed though pressing M). In these situations, I try to shoot the scene to capture as much information as possible, which tends to mean both the sky and land is not correctly exposed. I use one Gradient to fix the sky, and another one to fix the land. the problem is often getting the gradients to overlap well. This is where this shortcut is great! As much as I try, I am not perfect at getting 100% level images, so I have to crop slightly to fix the problem. By pressing the Ctrl (PC) or Cmd (Mac) key while using crop (R is the shortcut for crop tool) you get a level bar that you can draw on the horizon. The image will then adjust an crop to straighten the image. I do all my editing on a 15 inch MacBook Pro. It is a great little computer, but the screen has little room for me to see everything. If you press F on an image it will go fill go full-screen and allow me to see it as large as possible. I use it a lot when editing to see the whole scene as large as possible. When using any local adjustments, you can see where you are adjusting by showing the overlay. Press O to switch between overlay on or off. When applying a local adjustment, I frequently have to erase areas I had applied incorrectly. Instead of switching to the eraser tool, you can hold Alt (PC) or Option (Mac) when painting to temporarely switch to the eraser.